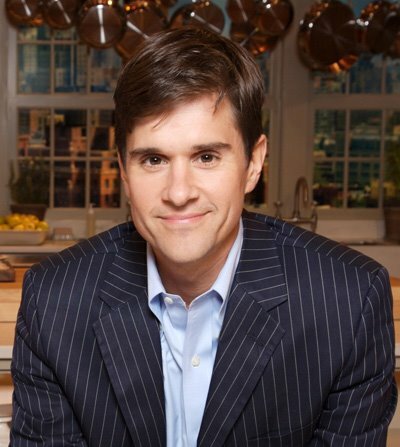 My friend Kenn has penned a terrific piece on Dr. Brent Ridge, Vice President of Healthy Living at Martha Stewart Living. You can read it at Kenn's charming "House Blend" blog. Dr. Brent, as he is known, writes the Doctor/Patient column in Martha Stewart Living magazine and is also the host of Ask Dr. Brent on Martha Stewart Living Radio on Sirius Satellite 112. He is also co-founder (with Martha Stewart) of the Martha Stewart Centre for Living in Manhattan. More than this, though. Brent is now an organic farmer and plays shepherd to a lovely herd of goats whose milk is used for a new line of organic soaps, which are availalbe through mail-order via his website. I have blogged here before about the luxurious soaps he makes at his farm, a sprawling piece of paradise with a robust mansion at its centre. The Beekman Estate is now home to his weekend operations, beautiful gardens that he tends with his partner Josh and home to a whole lot of whole living. 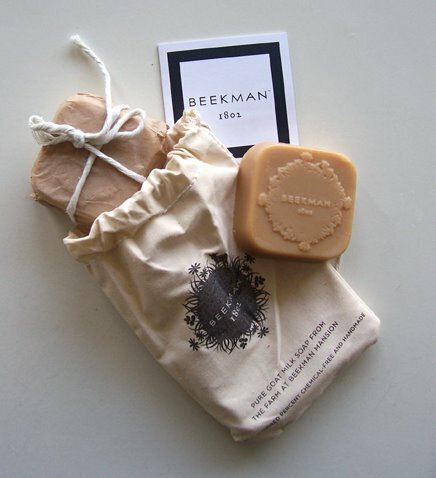 Please visit Beekman1802.com to learn more and read his weekly blogs. Before you do, though, read Kenn's excellent interview with Brent. It covers myriad subjects, from his role at MSLO to his newfound enjoyment of farm life. Most exciting of all, perhaps, is the news that he is working on a new book with Martha about caregiving, tailored to the people who look after their aging relatives. Being someone who regularly cares for his grandmother (groceries, banking, cleaning) I feel a tremendous sense of joy knowing this book is being written, which I think will end up being a celebration of the hard work and love that is demonstrated through the process of caregiving. And I just have to plug his soap one more time! I'm hoping it will one day be more widely available. It is beautiful soap, and I highly recommend the June soap, which is lightly scented with essential oils for a fresh summer aura that is light and invigorating. And it's all natural! A while back I was reading his Blogs and Website. I left a nice comment and he wrote me back to thank me for visiting the website! I thought that was very nice. I learn more about the company from reading your blog than working there! Thanks, Brent. The people at MSLO have been kind to keep me informed. I'm glad you enjoy the blog!